Tetlow King Planning (TKP) assisted the clients to gain planning and listed building permission for the replacement of the existing 60 bed care home and associated buildings on the site and to supplement the new care home with the conversion of the Grade II Listed Priory into Extra Care units. New staff accommodation and extensions to the listed building were also permitted. 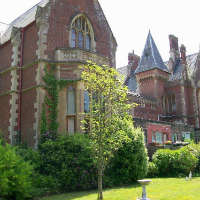 The result was a modern, Care Quality Commission (CQC) compliant care community which celebrates the history of the Listed priory and provides high quality accommodation for the residents and community of the Grace and Compassion Benedictines. TKP worked with KWL Architects and the clients to overcome the hurdles of the Grade II Listed building status and to provide an independent care community. Planning permission was granted and TKP have continued to provide advice with regard to conditions and the implementation of the planning permission.